Predictions were that the athletes would be in for a bad day weather wise, but thankfully the day went off well with no rain and some blue sky in the afternoon. 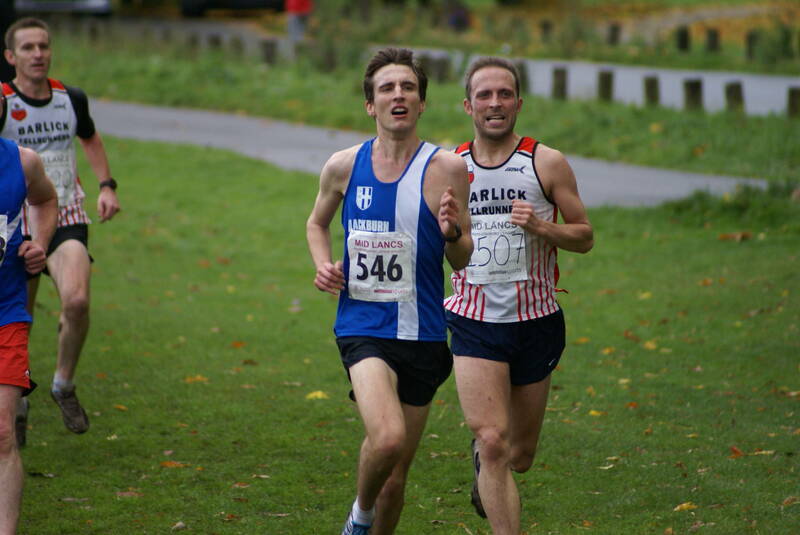 Some really good results for the Harriers too, topped by the Senior Men winning the Team Race led home by Karl Billington who said after the Race that it was a “Great performance by the team, well done guys“. 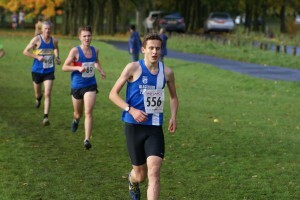 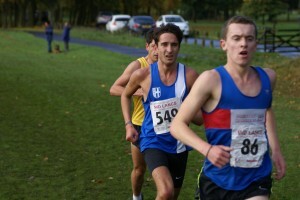 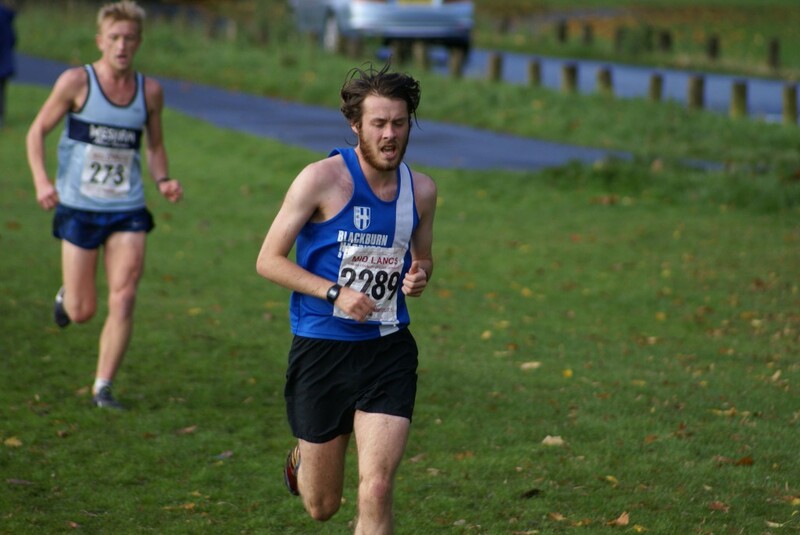 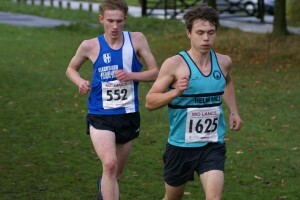 The Men’s Senior Race had over 300 runners in it competing for twenty seven different Clubs and it was the Harriers who came out on top by 20 points from Barlick in 2nd place. 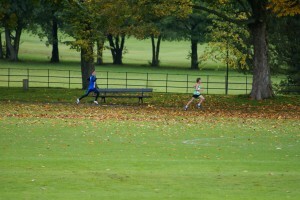 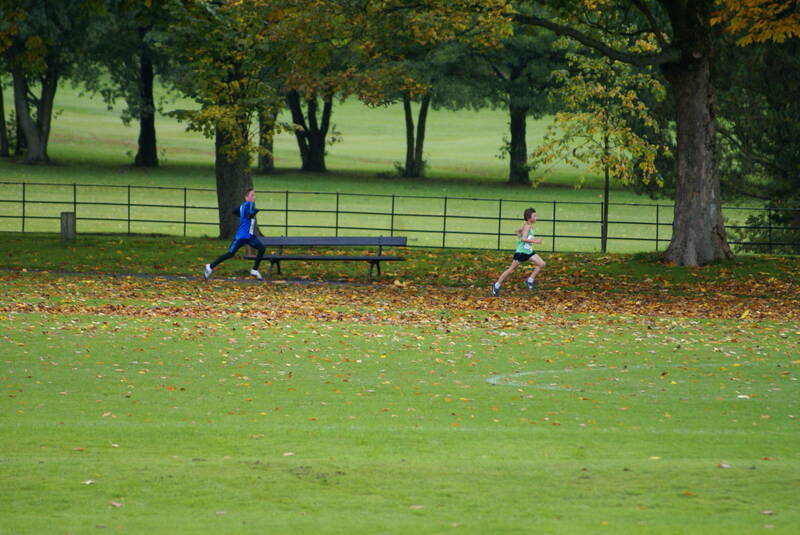 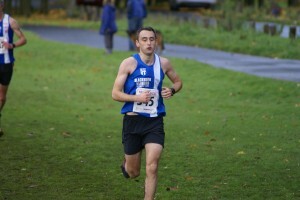 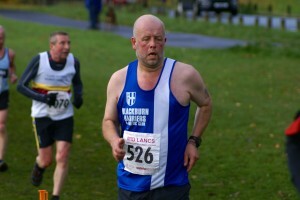 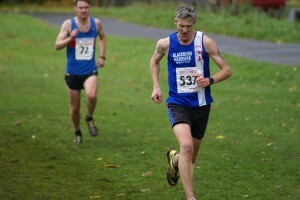 Karl Billington finished (5th) in 32.12 and there was just 14 seconds separating 3/4/5/6th places. 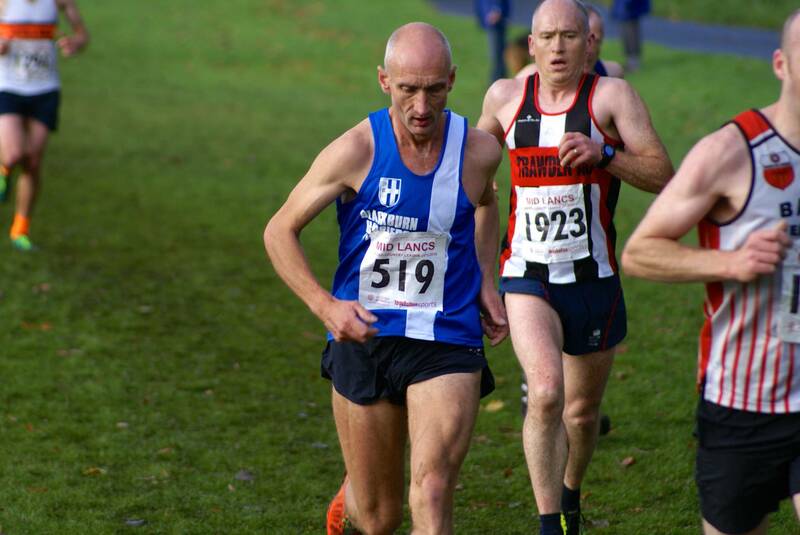 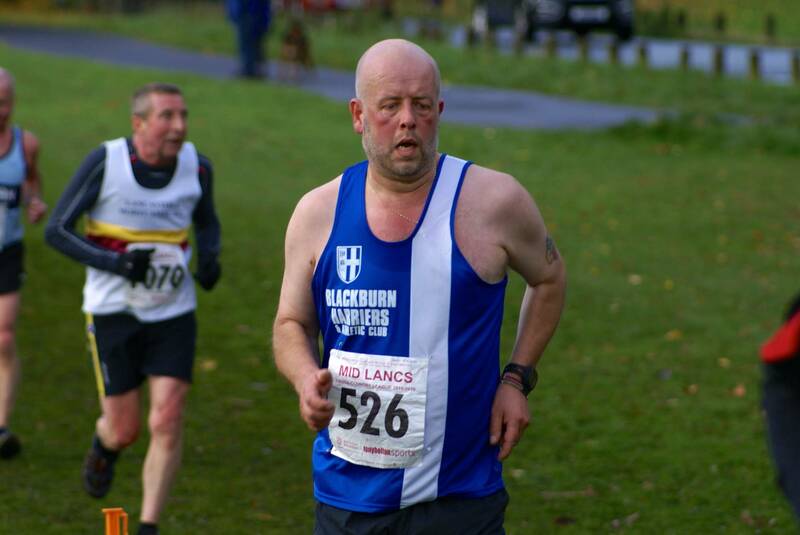 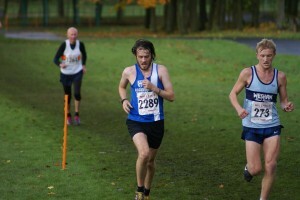 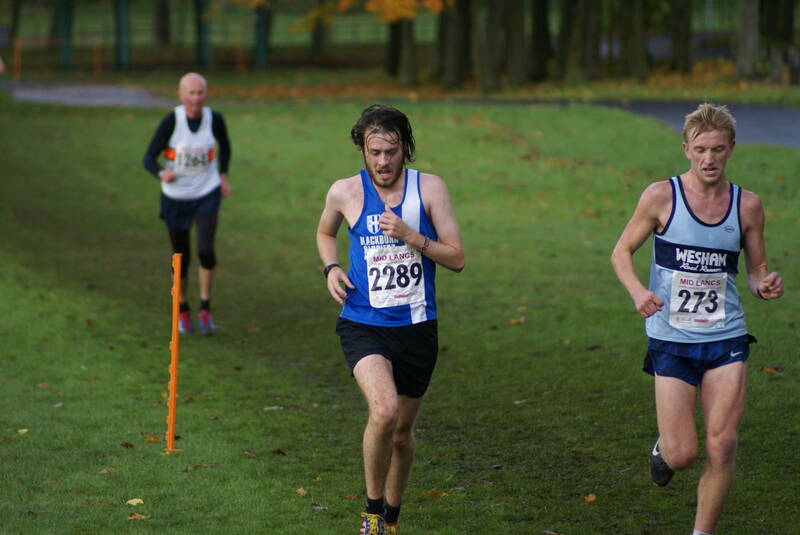 Rob Warner had a good last lap and pulled through to 11th (33.29) telling us that it was “Was great to be back doing a Mid Lancs cross again and some very strong packing from the team – well done everyone” and followed by Tim Raynes who worked his way through the field to come in 16th (33.43) remarking afterwards that it was “Great to be running in a winning team, brilliant effort by everyone!” Joe Monk made it four Harriers in the first twenty (20th) in 33.58 and 2nd U20 Male and saying that he was “really pleased with the team performance and to have 4 runners in the top 20 is a great effort“. Completing the six places for the Team 1st Prize were U20 Jack Hindle in 31st (35.22) who said afterwards that it was a “Great performance by everyone! 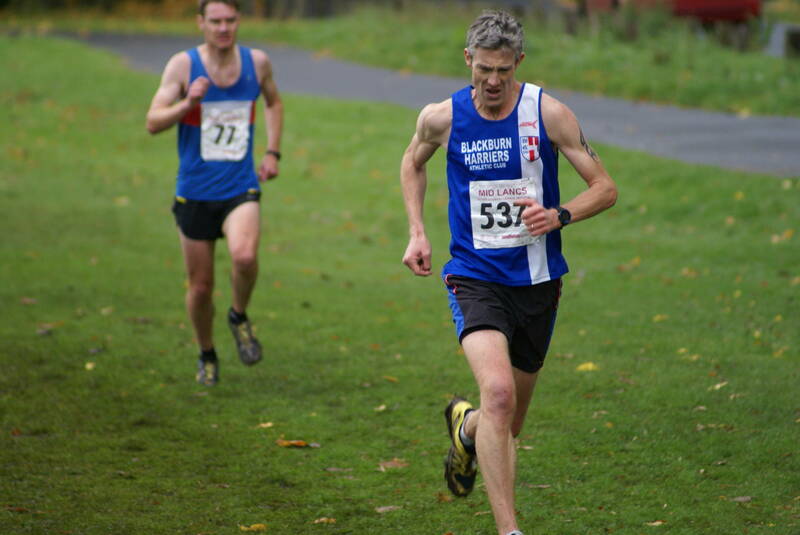 Proud to be part of a winning team and happy to see Blackburn on top!“ and Tom Blaney who has suffered from a long period of injuries coming back in style with a time of 35.46 in 39th place and commenting that “It was great to be finally back racing again and even better to contribute towards the team win, well done and thanks everyone“. 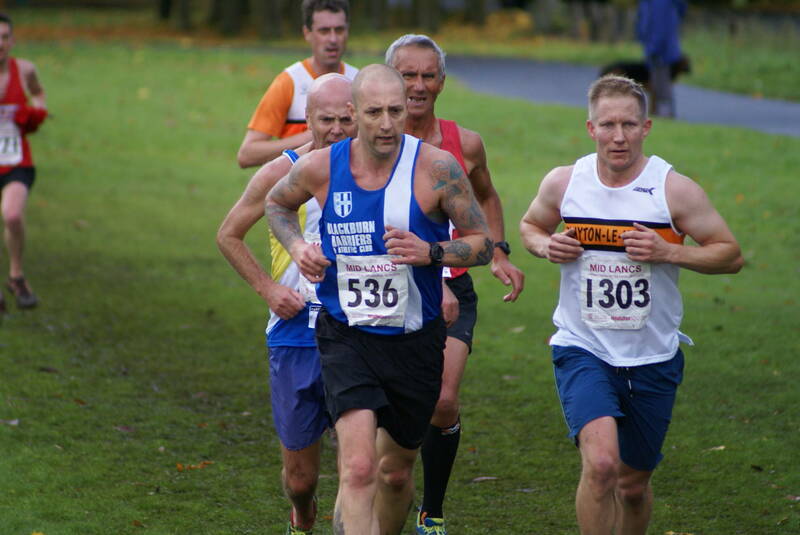 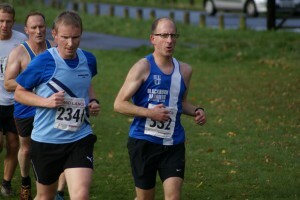 Next home for the Club came Chris Davies in 42nd (36.05) and Mark Chippendale (63rd) in 37.20. V40 Allan Hartley finished 104th in 39.33 with joint Team Manager John Cookson in 180th (43.01) and David Billington 286th (51.56). 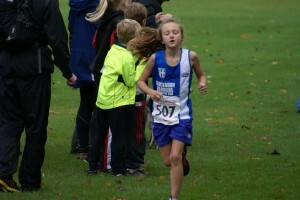 The younger athletes didn’t disappoint either with some cracking individual and team performances. 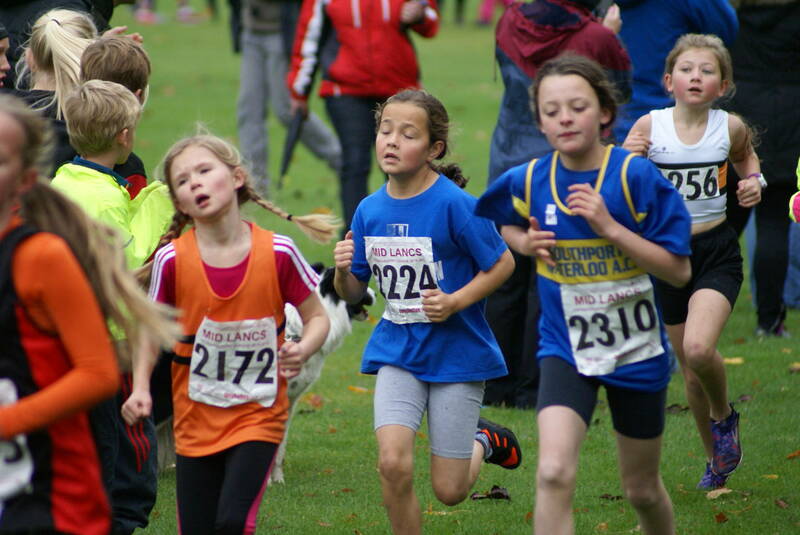 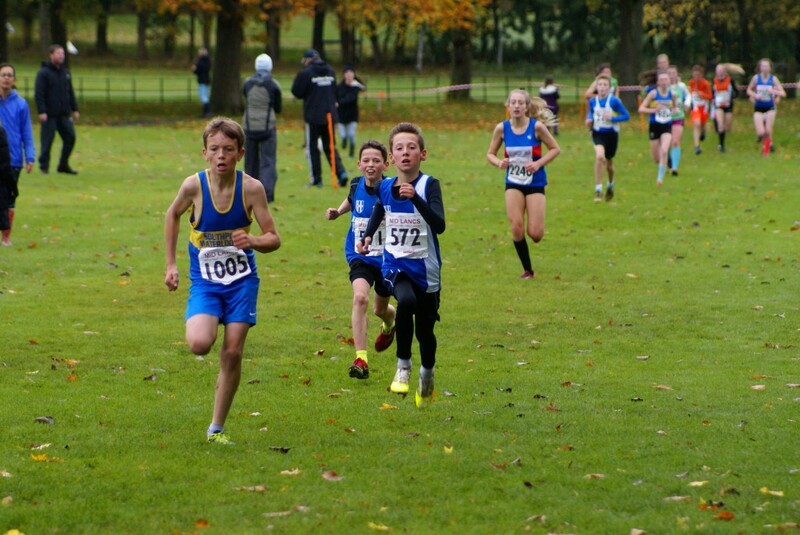 The U11 Girls with 84 runners and U11 Boys with 66 runners both took the 2nd Team Prize on the day. 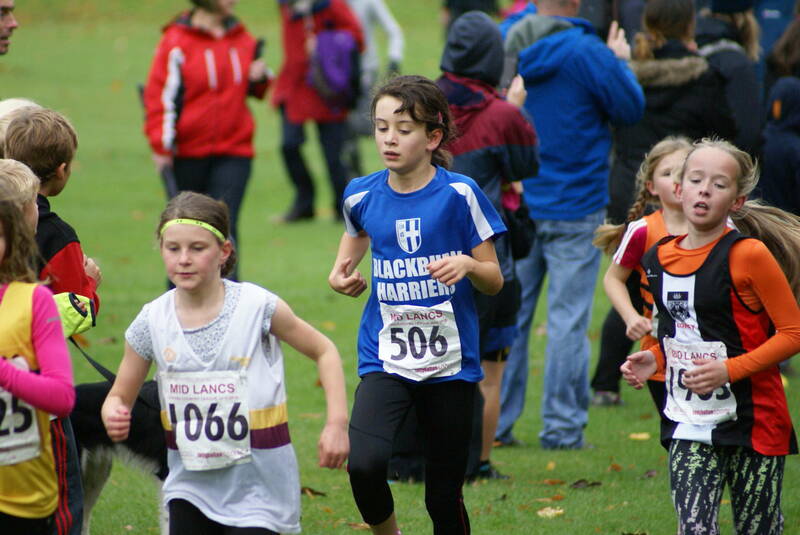 The U11 Girls Team of Leah Hoole, Eleanor Allsop, Hollie Cubbon, finished with a total of 37 points which was just 3 points behind Blackpool who were first. 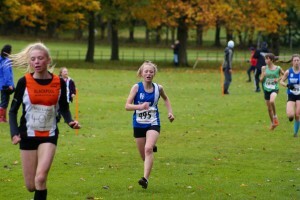 Leah was in a real battle going towards the line and just held on to 5th spot (7.48) by one second. 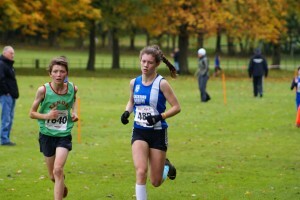 Also having fine runs were Eleanor in 12th (8.02) and Hollie 24th 0n 8.23. Kate Cookson was next home in 30th (8.35) and she gets better with each race. 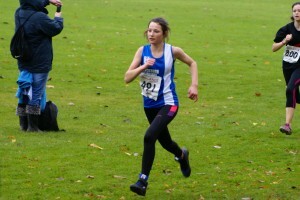 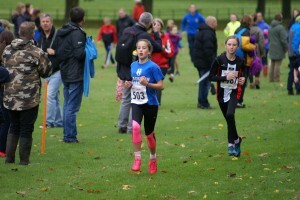 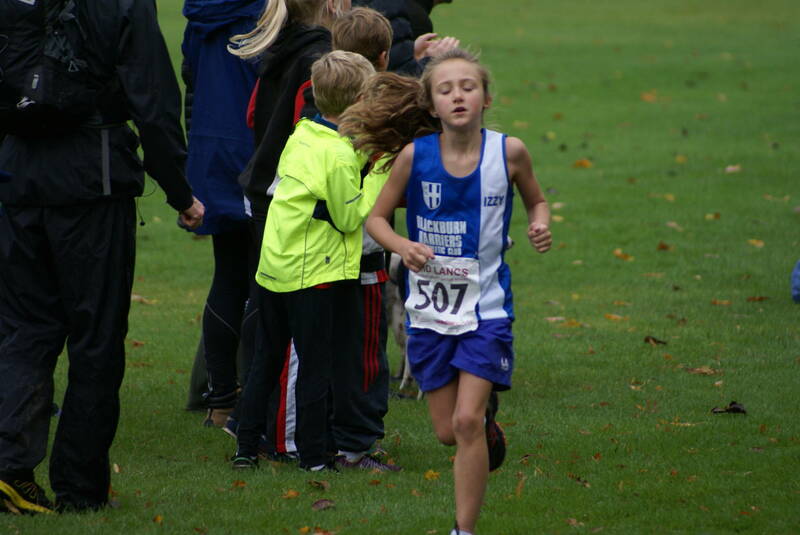 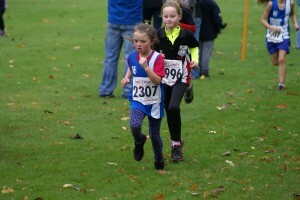 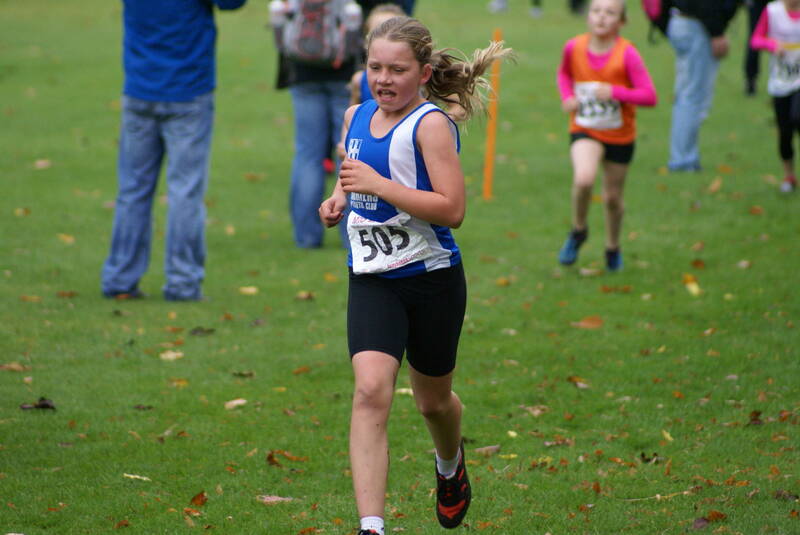 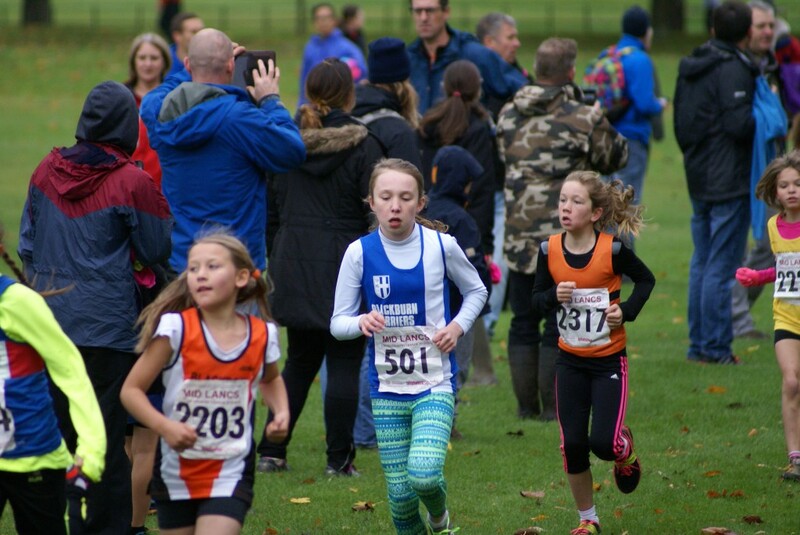 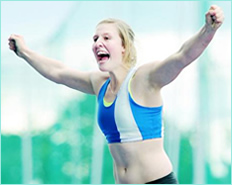 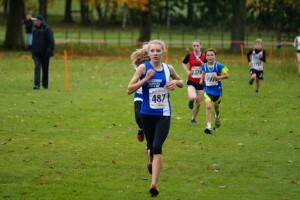 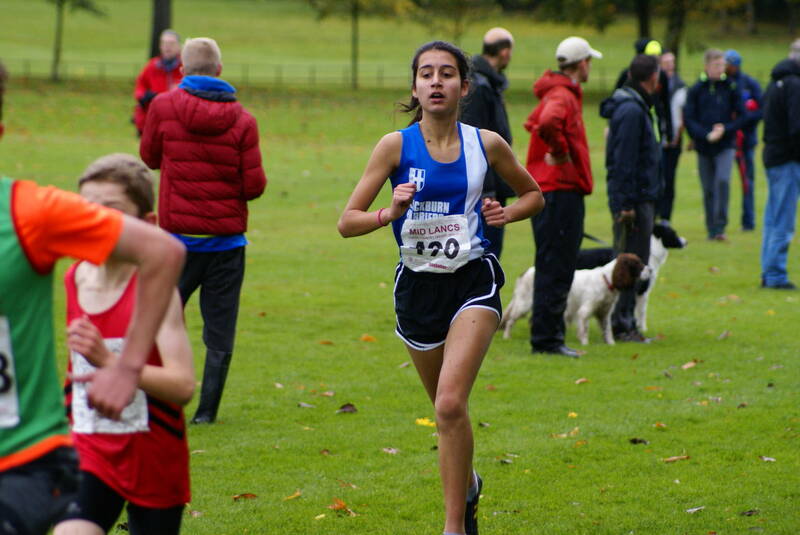 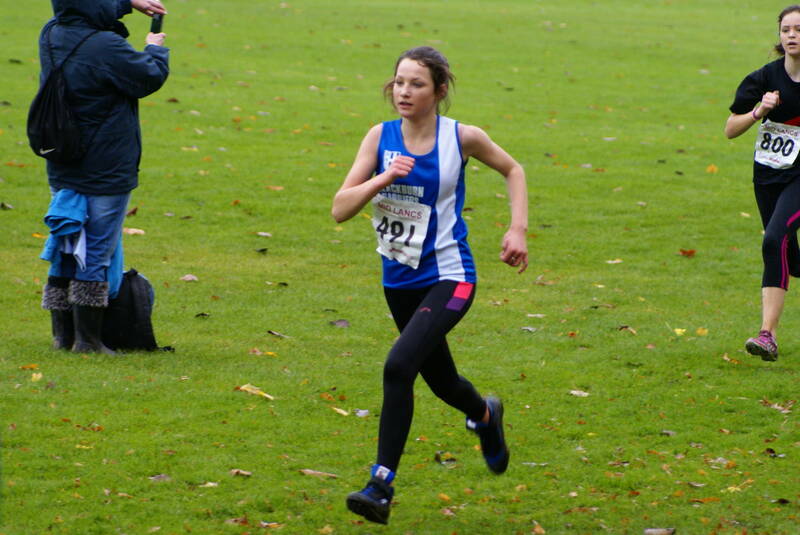 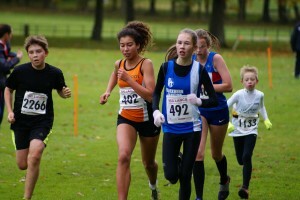 Amelia Tyson also ran well to come in 34th (8.40) as did new member and first time ever competitor – Georgina Bleek and just 8yrs of age who took 59th spot in 9.18 and actually sprinted at the end!! Next home came Isabelle Hartley in 64th (9.31) followed by Alayna Irvine in 66th (9.37). 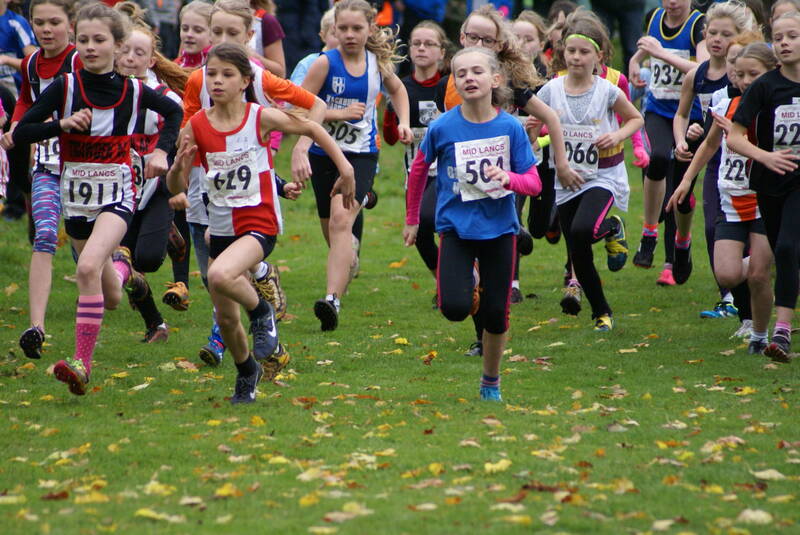 There was a cracking Race in the U13 Girls with Amy Davies battling with eventual winner Skyler Bowes and Charlotte Edwards coming down the slope together as they neared the finish. 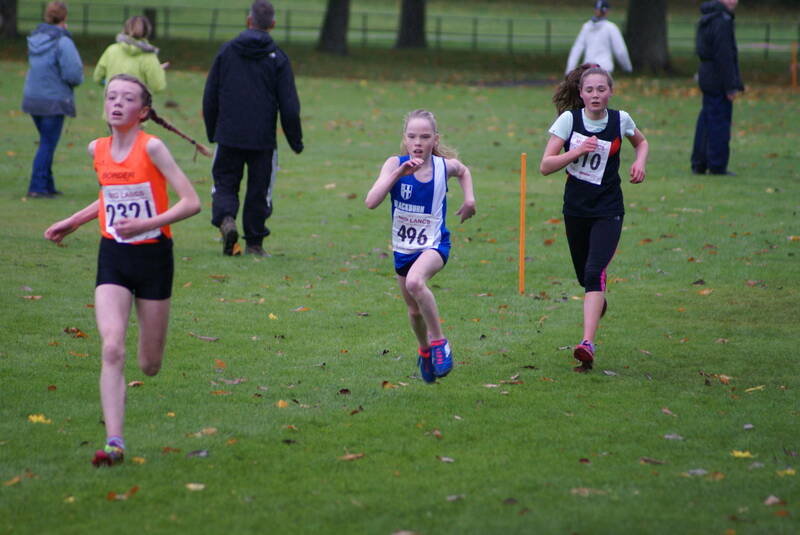 Just four seconds separated the three girls with Amy taking a fine 2nd place in 11.28 and showing real determination. 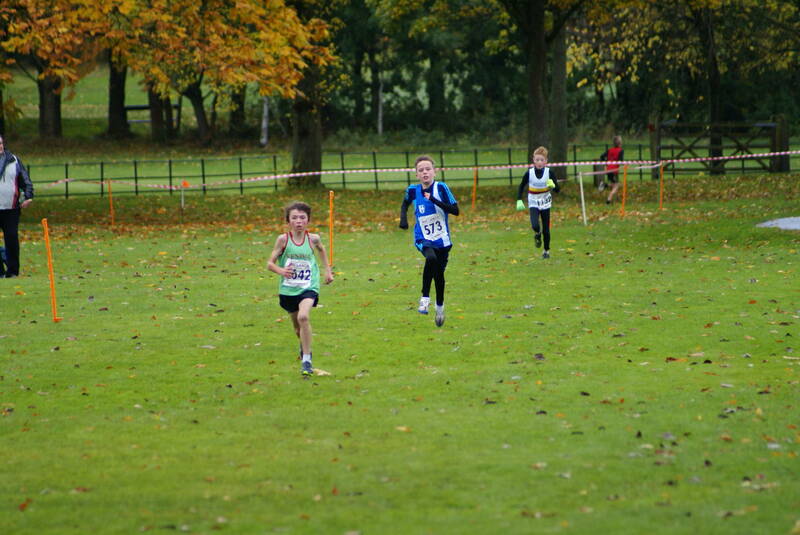 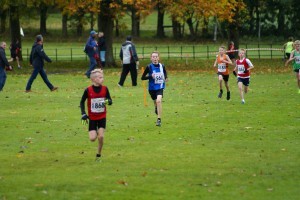 Another great run from the Harriers U13 Boys Team winning the the Team Race by three points from second placed Horwich. 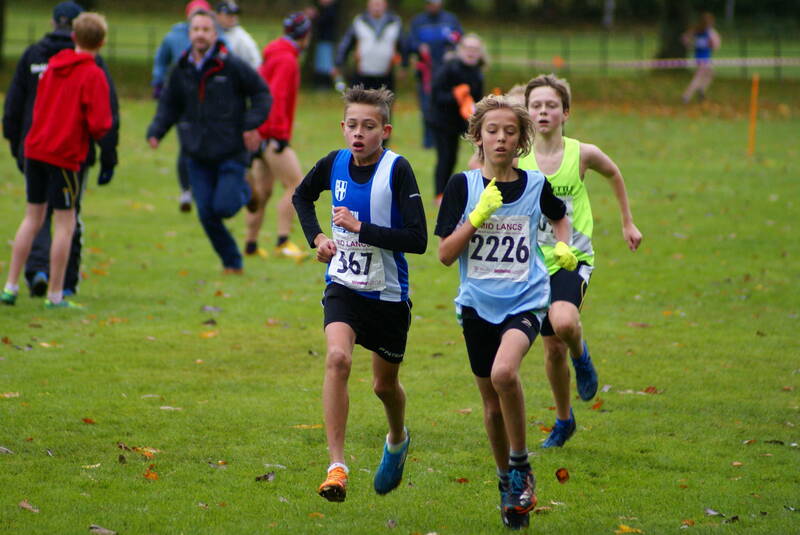 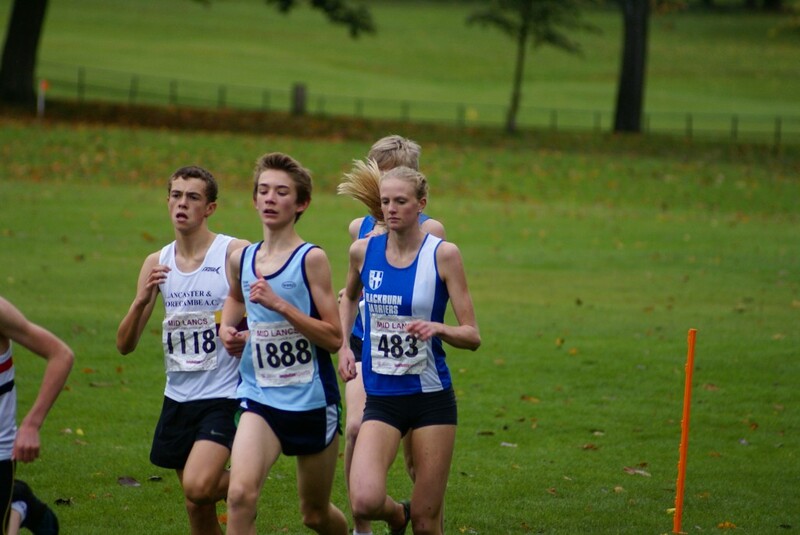 Matt Ramsden, who is having a great season so far in the cross country led the team home in 2nd place (11.07) being supported by Jamie Teare with another fine run in 6th spot (11.39) and Leon Thomas 17th in a time of 12.09. 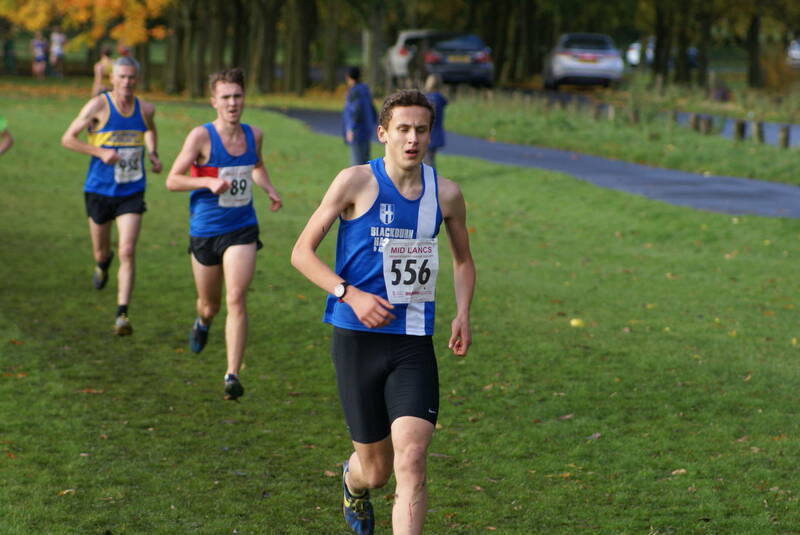 Next came Luke Ingleson in 34th (12.59), Daniel Brown just two places further back in 36th (13.03) and George Whittaker (45th) in 13.34. Hannah Cookson led the U15 girls to 3rd Team finishing 7th overall in a time of 12.54, backed up by an improved run by Chloe Bleek in 14th (13.24), Natalya Irvine in 16th (13.35), Anna Lonsdale (20th) in 14.04, Freya Black in 23rd (14.32) and Keturah Bradley (27th) in 15.23. Another fine run by U17 Liz Greenwood who came away a very comfortable winner in her race winning by 22 seconds from Meg Beckett in a time of 16.02. 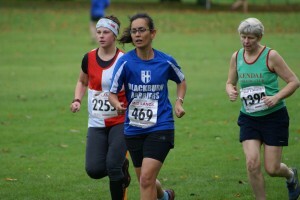 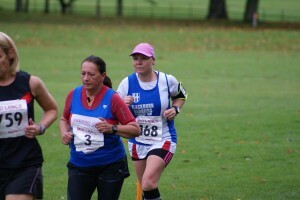 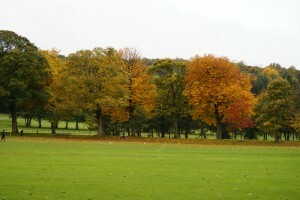 One hundred and ninety runners in the Senior Womens Race featuring thirty two Clubs. 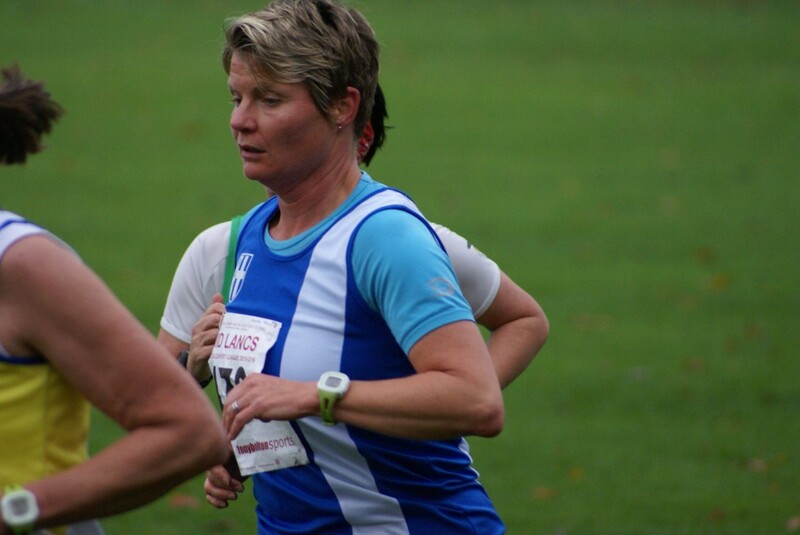 The Harriers finished in 29th place with Michelle Teare taking 114th place in 31.44, Carol Cookson (123rd) in 33.01 and Lindsay Davies (148th) in 34.52.